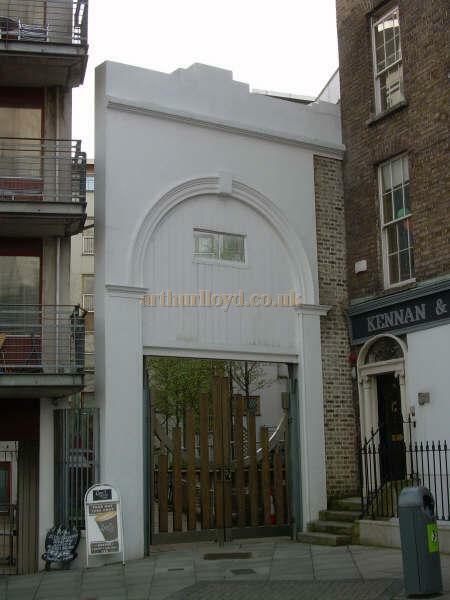 Neal's New Musick Hall, which was located on Fishamble Street, now a very famous street in Dublin, was built for the Bull's Head Musical Society and opened in 1741. 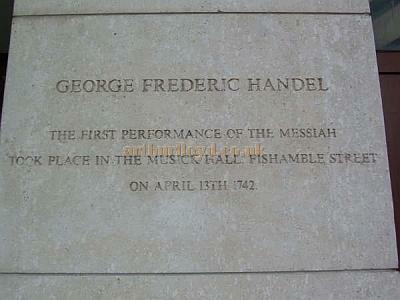 It is famous for being the venue where Handel's Messiah was first performed, for charity, on the 13th of April 1742. 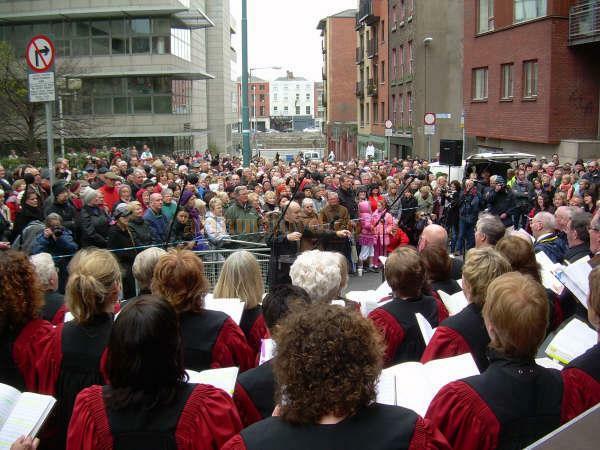 The Messiah is still performed every year on Fishamble Street in an annual open air concert to celebrate the fact, see images below. Above and Right - An inscription in stone celebrating Handel's first public performance of the Messiah which took place at the Musick Hall in Fishamble Street, Dublin on April 13th 1742 - Courtesy Des Kerins. 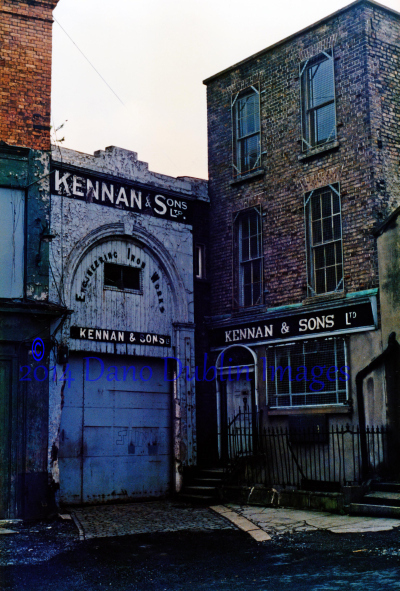 And - The entrance arch to Neal's Musick Hall, Fishamble Street, Dublin when the building was being used by Kennan & Sons Ltd in 1986 - Courtesy Noel Ryan of Dano Dublin Images. 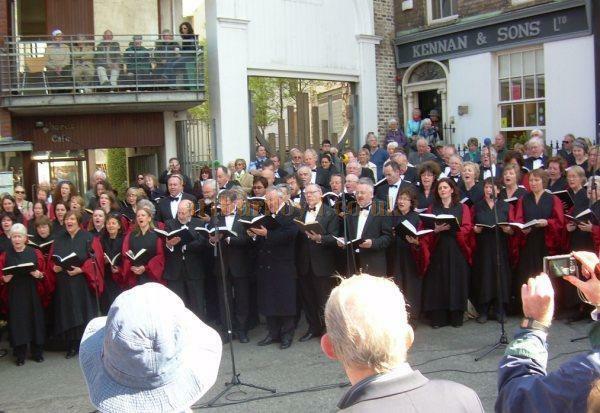 Above - Handel's Messiah being performed in an open air concert to a crowd of about 1,000 people in the warm sunshine on Fishamble Street on April the 13th 2010 - Courtesy Des Kerins. The Irish Times reported on the event here.